A Zambian student in Canada was last Friday morning crashed to death in a traffic accident. Three other friends, also from Zambia, were seriously injured in the crash and remain in hospital, but are expected to survive. 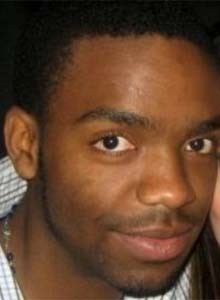 Late Mwekwa Kaongwa (24) was studying engineering at Simon Fraser University. The Simon Fraser University student was killed when the car he was driving flipped around 3 a.m. near the exit onto Prior Street, leaving the vehicle a crumpled heap. Police said speed was a factor in the single-vehicle crash of the BMW, which flipped over and was destroyed. “It is with great sorrow that we announce the passing away of Mwekwa Kaongwa, an SFU international student from Zambia,” said a statement on the Facebook page run by the SFU African Students’ Association. A memorial service was held at the university’s Surrey campus on Sunday morning. Police believe speed was a factor in the crash, but did not confirm witness reports that street racing may have played a part in the crash.